metal, illegal poaching and fly-tipping. 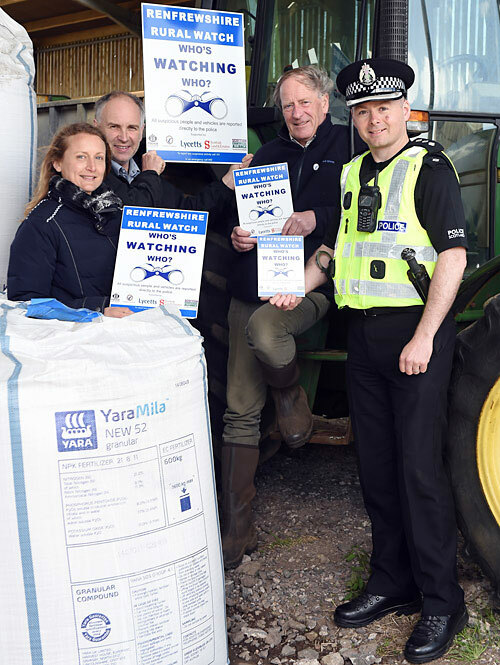 Renfrewshire Rural Watch has been set up to make rural Renfrewshire secure against illegal activity such as the theft of machinery, equipment, livestock, metal, illegal poaching and fly-tipping. Join up today! 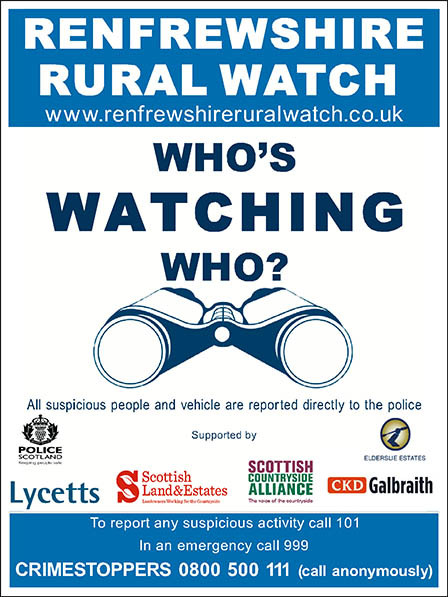 “The development of Renfrewshire Rural Watch together with the introduction of my new dedicated rural policing officers will create a more effective link between members of the rural community and police.